Global architecture, design and planning practice Gensler is celebrating some exciting additions to its leadership team, appointing three new principals. 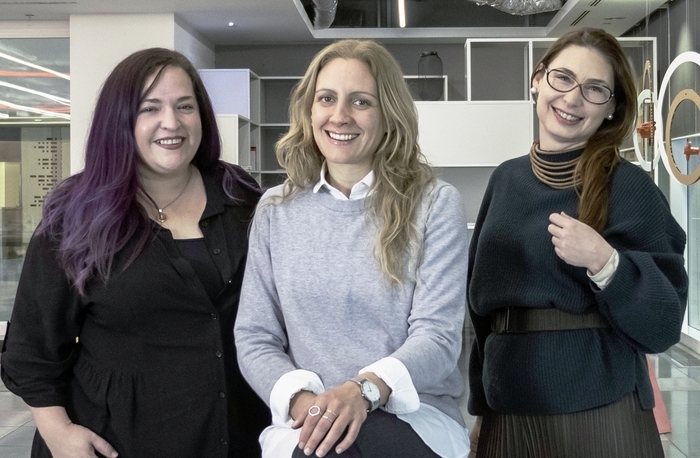 These appointments underline the strength of Gensler’s talent base and its strong growth trajectory in Europe, as well as highlighting the business’ commitment to ensuring gender balance across all areas of its business, and at all levels. Empowering female talent in industries such as architecture and design is of high importance to the team at Gensler, with these new appointments celebrating industry-leading women who are at the top of their field. Valeria’s promotion follows 14 years of experience as an architect, working on a diverse range of projects – from design to delivery – including mixed-use, commercial offices, hospitality, residential and cultural projects. Her portfolio includes many high-profile developments across the UK – including the recent design for One Fairchild, a 319,000 square foot mixed-use hotel in the heart of East London’s Shoreditch area – as well as a wealth of international experience. During her career, Valeria has worked with organisations including Highgate, Landsec, BNP Paribas, Hackney Council Design Review Panel, Selfridges and Rocket Properties. In addition to her project work, Valeria is also involved in academia at The Welsh School of Architecture at Cardiff University. Lara joined the Gensler team in 2002 and has over 18 years of experience spanning retail, workplace, hospitality and entertainment experiences. As strategy director and Gensler’s global retail practice leader, Lara brings insights that result in innovative and powerful strategies that generate engagement between brands, places, and people. With an education that spans psychology, advertising, marketing and cultural anthropology, she has honed her ability to translate complex global consumer trends into understandable, workable and profitable outcomes for her clients. Key projects for Lara have seen her work with the likes of Microsoft, Harrods, C&A and HB Reavis. She was also named on design:retail magazine’s annual 40 under 40 list in 2017. Athely’s promotion to Principal follows 20 years of experience managing the delivery of large capital projects in a variety of sectors and across multiple geographies, including Europe, Middle East and Latin America. Since joining Gensler’s consulting studio in 2015, she’s been focusing on helping global corporate occupiers to transform their global workplace portfolios through design innovation and well considered change programmes. As well as continuing to improve the way Gensler services its clients globally, Athely will also help to build a pipeline of future client relationship leaders within Gensler.